Wellness & Health Coach Certification Training is organized by Real Balance Global Wellness Services Inc and will be held from May 01 - 04, 2019 at Courtyard by Marriott Minneapolis Downtown, Minneapolis, Minnesota, United States of America. This Training has been approved for 32 continuing education contact hours for ACSM, Health Educators, Nurses, PT’s PA’s and approved for 37 ICF coach specific training hours. This program is an Approved Program with the International Consortium for Credentialing Health & Wellness Coaches. Who should attend? All Health and Coaching professionals interested in learning the skills to support positive lifestyle change. Description: The purpose of this program is… to train wellness & health professionals in the use of Wellness Coaching skills to assist their clients in making a lasting lifestyle change. Participants learn a systematic coaching process, based on behavioral change psychology, human motivation, health promotion, and professional coaching competencies. They gain the skills to support and motivate their clients/patients to make the behavioral changes needed to live healthier lives. Educational Objectives: After completing this training the participant will be able to: • Identify the impact of lifestyle on health and wellbeing. • Define the foundational theories of wellness coaching. • Identify the Mindset Shift needed to engage the coach approach and empower clients. • Identify and demonstrate the use of the core coaching competencies. • Demonstrate knowledge of and the ability to use "Readiness for Change" theory to support a client’s forward movement. (i.e. Prochaska) • Identify the steps in the Wellness Mapping 360°™ wellness coaching method/process • Demonstrate proficiency in – co-creating the alliance with the client. • Demonstrate proficiency in - co-creating a Wellness Plan with the client. • Demonstrate proficiency in – on-going evaluation techniques with the client. • Demonstrate the use of the Wellness Coaching process in time-limited settings. • Identify 5 ways a wellness coach can support clients who have health challenges from prevention through recovery. • Demonstrate an understanding of the role of wellness/health coaching in medical compliance • List 5 effective ways to adapt wellness/health coaching in different settings. • Learn about the lifestyle aspects of heart challenges, cancer, diabetes, weight loss, and fitness. • Demonstrate an understanding of what a coach needs to know when working with clients with health challenges • Demonstrate the use of wellness coaching skills when working with a person with heart challenges, diabetes, cancer, metabolic syndrome, weight loss & fitness. Best Practices in Health Sciences Education is organized by University of Minnesota - Continuing Professional Development and will be held from May 01 - 02, 2019 at University Recreation and Wellness Center, Minneapolis, Minnesota, United States of America. Audience: Health science educators, as well as faculty, students, and staff at the University of Minnesota and within the Academic Health Center. Description: The goal of Health Professions Education is to develop learners who are equipped to improve health in the modern health care ecosystem. In order to meet this goal, it is fundamental that educators use data to constantly improve their educational programs and measure their effectiveness. Examples of data include clinical data, population health data, and educational data. This conference will focus on sharing strategies for gathering high-quality educational data, interpreting data, using data to drive improvement, and linking education to clinical and population outcomes. Sessions will be highly interactive and emphasize implementable strategies. Educational Objectives: Following completion of this activity, learners should be better able to: • Identify current and emerging frameworks for specifying the outcomes of health professions education programs. • Identify and discuss modern best practices for classroom and clinical pedagogy. • Discuss challenges and opportunities in using data to drive change in health professions education. Additional details will be posted as soon as they are available. 2019 Midwestern Medical Directors Association (MMDA) Annual Conference is organized by Midwestern Medical Directors Association (MMDA) and will be held from Mar 09 - 10, 2019 at Minneapolis, Minnesota, United States of America. Additional details will be posted as soon as they are available. National Association of Boards of Pharmacy (NABP) 115th Annual Meeting is organized by National Association of Boards of Pharmacy (NABP) and will be held from May 16 - 18, 2019 at Minneapolis Marriott City Center, Minneapolis, Minnesota, United States of America. Additional details will be posted as soon as they are available. 17th Annual Anterior Cruciate Ligament (ACL) Workshop at Mayo Clinic Square 2019 is organized by Mayo Clinic and will be held from May 17 - 18, 2019 at Mayo Clinic Square, Minneapolis, Minnesota, United States of America. Target Audience: This course is designed for physicians, athletic trainers, physician assistants, nurses, occupational or physical therapists, students, researchers, strength and conditioning specialists, sports medicine and orthopaedic health care professionals. Accreditation: • 12.75 AMA PRA Category 1 Credit™ • 12.75 Attendance • 12.75 BOC EBP • 12.75 PT Course Description: The 17th Annual ACL workshop is dedicated to the prevention, training and rehabilitation of athletes who are at risk for ACL injuries. This is the 4th year the workshop has been offered at Mayo Clinic Square. The Sports Medicine Team at Mayo Clinic and Mayo Clinic Square will detail the latest prevention programs for athletes. Enrollment in the certification course and examination provides the learner with the opportunity to receive certification from Mayo Clinic Sports Medicine in MayoMetrics ACL Injury Prevention. Course Highlights: • Hear from expert specialists on the lateste in ACL Rehabilitation • Hands on experience with ACL Prevention • Complete the exclusive Mayo Metrics Certification Course Learning Objectives: Upon conclusion of this program, participants should be able to: • Recognize and describe the need for and appropriate timing of ACL injury prevention programs in at-risk athletes. • Describe and utilize screening tests that can be used to target athletes who may be at higher risk of ACL injury • Identify indications for conservative management of ACL injuries • Review evidence-based interventions for surgical vs conservative management of ACL injuries, including single vs double bundle grafts for ACL reconstruction • Review the risks of primary versus secondary ACL injury • Describe how to incorporate an evidence-based progression of post-surgical rehabilitation for ACL patients from acute injury management through return to sport • Describe different methods used in screening athletes for injury and demonstrate techniques used to train for injury prevention Attendance at this Mayo Clinic course does not indicate nor guarantee competence or proficiency in the performance of any procedures which may be discussed or taught in this course. Nail Disease Symposium is organized by University of Minnesota - Continuing Professional Development and will be held on May 17, 2019 at DoubleTree by Hilton Hotel Minneapolis - University Area, Minneapolis, Minnesota, United States of America. This CME Conference has been approved for a maximum of 4.25 AMA PRA Category 1 Credits™. Audience: This activity is ideal for practicing dermatologists, physician assistants, and other healthcare providers interested in nail diseases and for those who diagnose, manage, and treat patients with nail diseases. Description: This course will cover a wide range of topics, from the basics of nail care to the presentation of complex nail diseases and pathology. 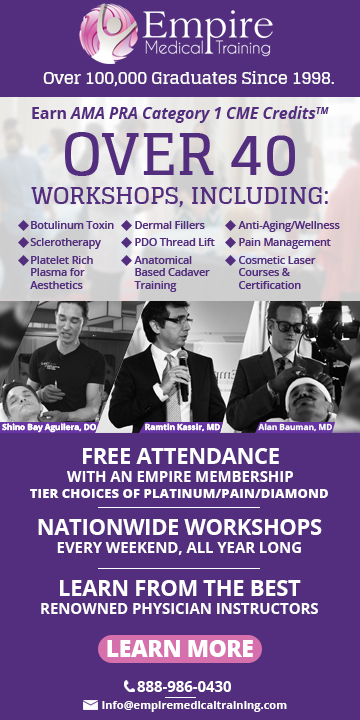 It will include a review of the fundamentals of dermoscopy of the nail unit, and faculty will provide procedural/dermatologic surgery-based education on nail procedures along with updates in research on laser medicine. Educational Objectives: Following completion of this activity, learners should be better able to: • Use new diagnostic tools and methods to better diagnose and treat nail disease. • Increase their ability to incorporate new diagnostic technology tools in their patient exams. • Identify the appropriate use of new diagnostic tools. • Recognize how treating malignant melanoma of the nail bed should be handled differently than malignant melanoma of the skin. In-Person Global Health Conference is organized by University of Minnesota - Continuing Professional Development and will be held from May 20 - 31, 2019 at Malcolm Moos Health Sciences Tower, Minneapolis, Minnesota, United States of America. Target Audience: • Medical students, resident physicians, and fellows • Local, national and international practicing and retired physicians • Graduate nursing students, registered nurses, licensed nurse practitioners • Physician assistants, veterinarians, public health professionals and active United States military personnel Additional details will be posted as soon as they are available. 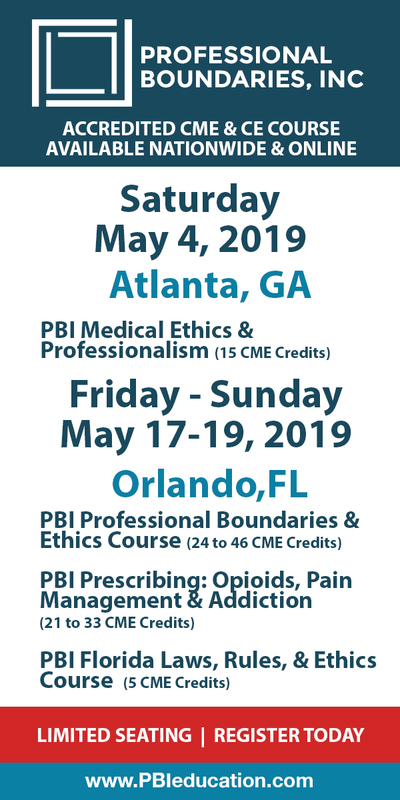 Pain Mechanisms: From Molecules to Treatment is organized by University of Minnesota - Continuing Professional Development and will be held from Jun 03 - 07, 2019 at Molecular and Cellular Biology Building (MCB), Minneapolis, Minnesota, United States of America. Additional details will be posted as soon as they are available. Orofacial Myology: From Basics to Habituation is organized by International Association of Orofacial Myology (IAOM) and will be held from Jun 06 - 09, 2019 at Minneapolis, Minnesota, United States of America. Additional details will be posted as soon as they are available.